The website was designed from scratch and developed using Magento community edition having thousands of products. Have you decided on an eCommerce portal to build an online store for your business? If you are worried about making the right choice, consult PlatinaIT. We are a one-stop solution for all your eCommerce web development needs. Call (416) 273-7206 and book an appointment for FREE consultation. With 40 years of experience as a Canadian owned and operated company, we pride ourselves in making your online shopping experience as easy and convenient as possible. 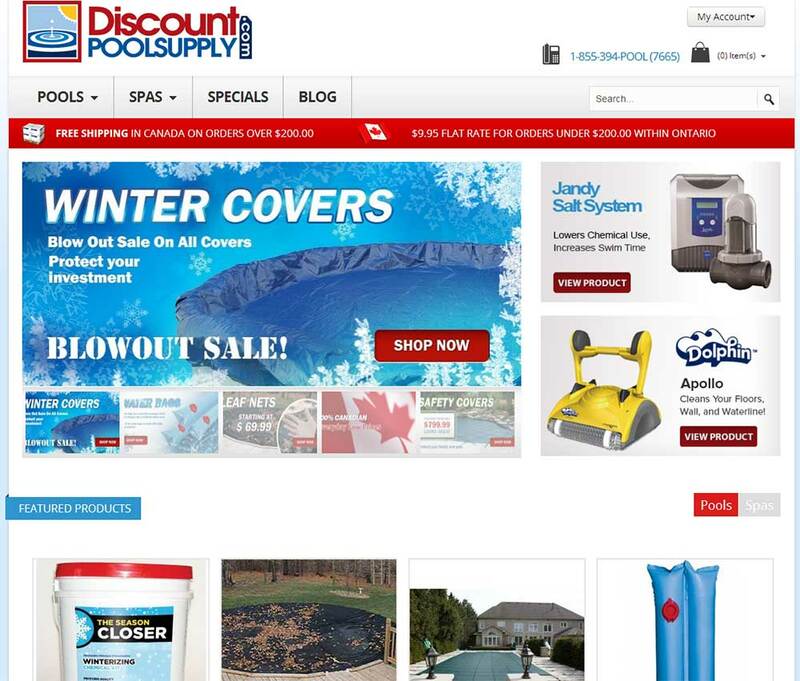 As a leading distributor in the Canadian pool and spa industry, we recognize that by moving our products online we are in a better position to better assist pool and hot tub owners. Having our website created by Platina Magento developers, we were able to rise our consumer base by 70%! The skill and uniqueness of the customer service we received from Platina IT Technologies is unmatched. To see that this web design company was able to create our vision on the web was incredible as they did not leave out a single detail and co-operated with us through the process to promise that we were completely satisfied. I highly recommend Platina IT to everyone!